Adults can be as large as 1/2 – 1+ inches in length. 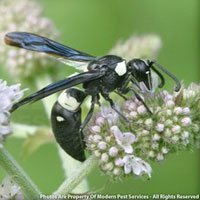 Mud daubers are long and slender in shape and can be a variety of colors including an iridescent blue. 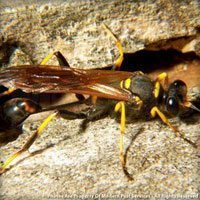 Mud daubers select a sheltered site to build their mud tubes. You will most likely see them under eaves, porch ceilings, garages, or sheds left open. 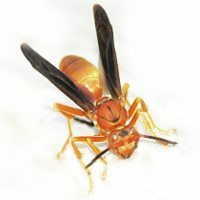 Nests typically exhibit round holes as the wasps emerge, usually signifying that the nest is old and inactive. 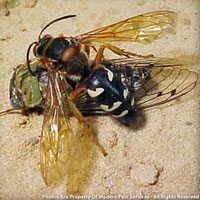 Mud daubers feed on spiders. 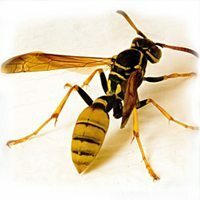 These wasps are solitary, the mud tubes being the nests. 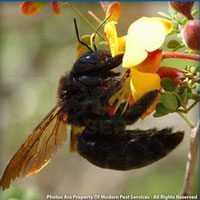 Learn more about our Homecare Green program that covers 60 common household pests – including stinging insects! 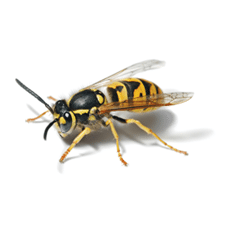 For more information on keeping your home stinging insect-free, get a quote today or contact your local pest control specialist!